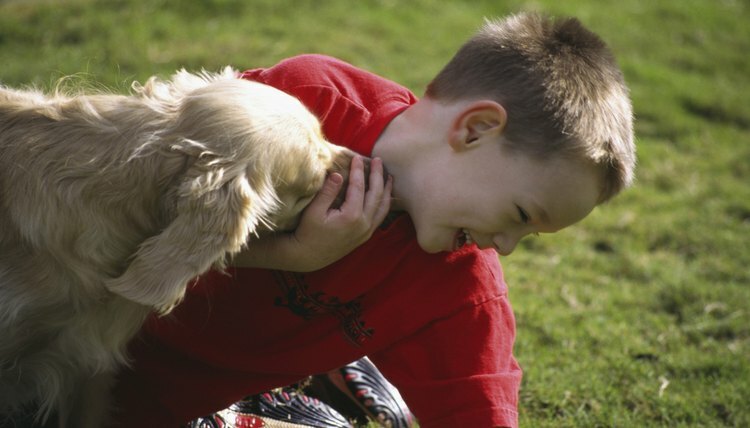 There are two reasons dogs like to be rubbed behind their ears: it makes them feel good, and they like the attention. Not all dogs like being touched, however, and some are selective about who touches them. Always use caution when petting a dog you are not familiar with. When you rub a dog behind his ears, your massaging touch releases endorphins from his brain that spread throughout his body. Endorphins are hormones that reduce pain and induce relaxation. According to veterinarian Allen Schoen of MS and Associates in Sherman, Conn., massaging a dog’s ears makes him feel good, stimulates his body’s healing mechanisms and provokes feelings of contentment. All dogs have a desire for attention. Schoen says massaging a dog is an excellent way to bond with him and spend quality time together.